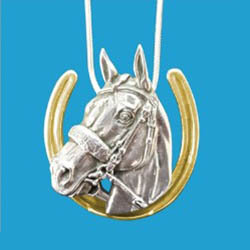 The hand finished and polished sterling silver head with gold horseshoe measures 1 1/8″ wide by 1 1/4″ high. 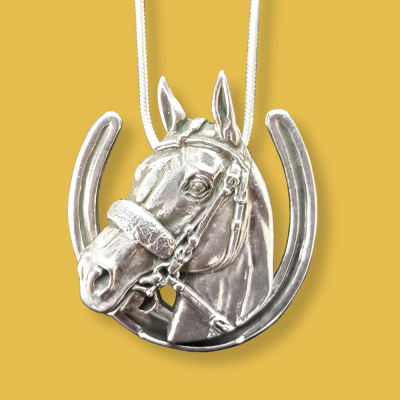 Comes on a 16″, 18″, or 20″ sterling silver snake chain with lobster clasp. 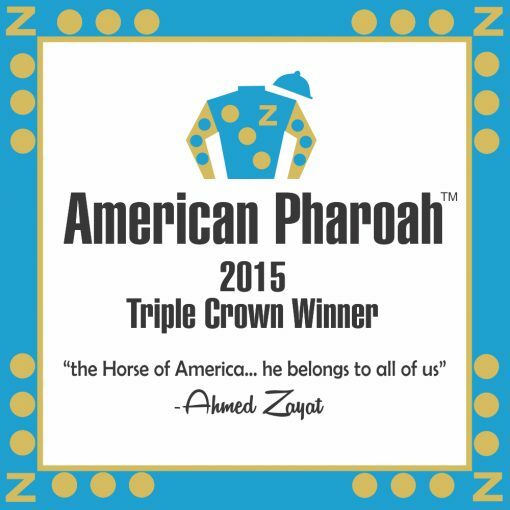 Framed by his horseshoe in 14K gold, this licensed design for American Pharoah honors his historic 2015 Triple Crown win. 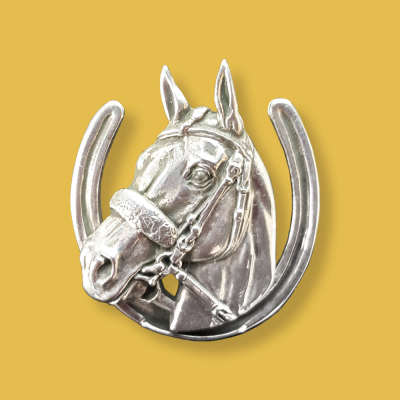 The hand finished and polished sterling silver head with gold horseshoe measures 1 1/8″ wide by 1 1/4″ high. Comes on a 16″, 18″, or 20″ sterling silver snake chain with lobster clasp. 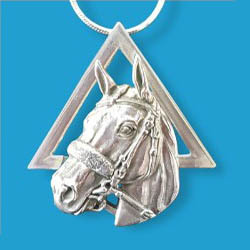 Stamped with his name on the back, it arrives in a gift box with pouch and commemorative card. 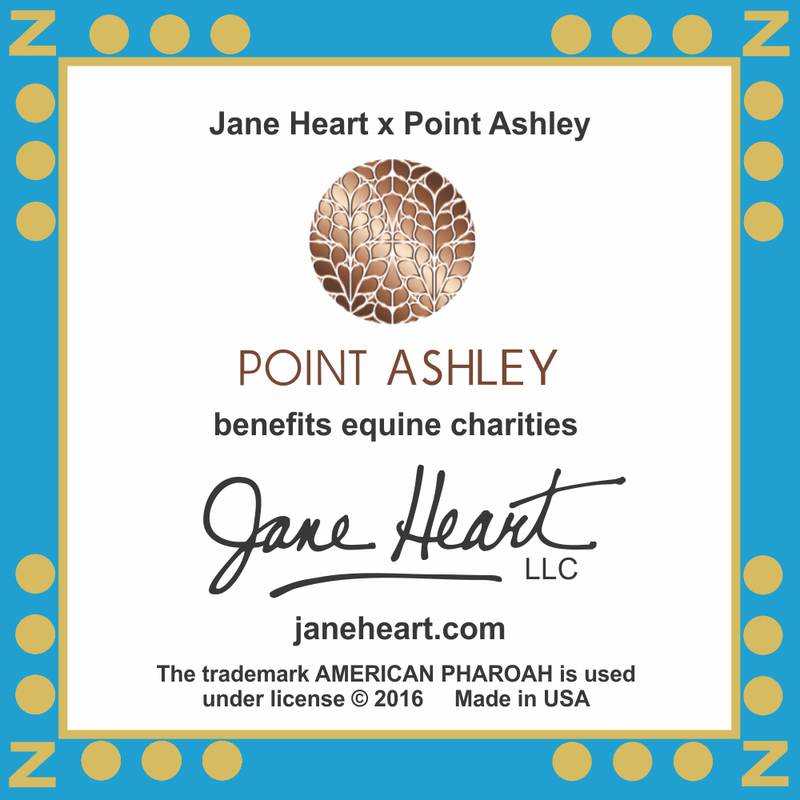 A portion of the proceeds benefits various equine charities. Order now for 2 week delivery. 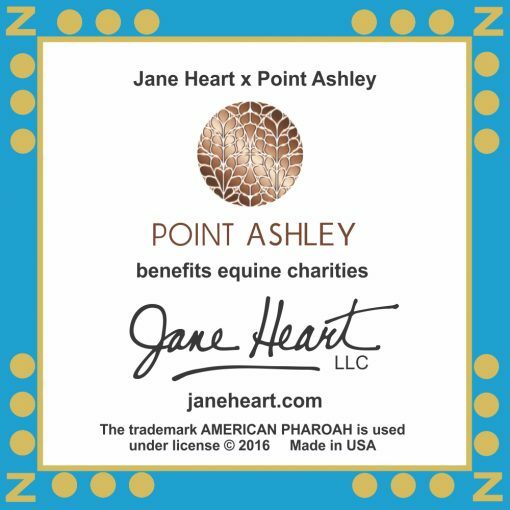 You will be notified by email when shipped. Be one of the first to own this licensed tribute to American Pharoah!